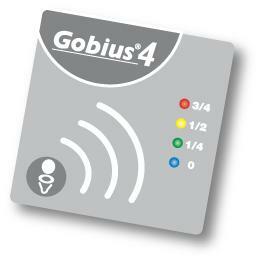 Gobius is the first and only level indicator in the world that can measure the contents in tanks made of any material, such as plastic, stainless steel, steel, aluminum and fibre glass, from the outside. Since it measures from the outside cleaning the tank or drilling holes is unnecessary. The system works on a 'knock & listen' basis and is ideal for retro fitting to waste tanks that are already in use. The remote display panel will give 4 level readings to accurately monitor tank usage.